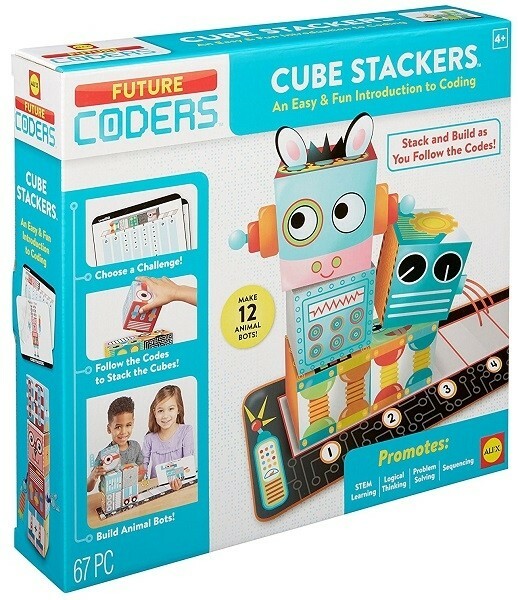 Alex Toys' Cube Stackers game lets kids stack cool cubes to make creatures! Follow the sequence of arrows to build animals with cardboard cubes, then check the back of the card to see if you got it right! Then, you can add crafty elements for even more personality. 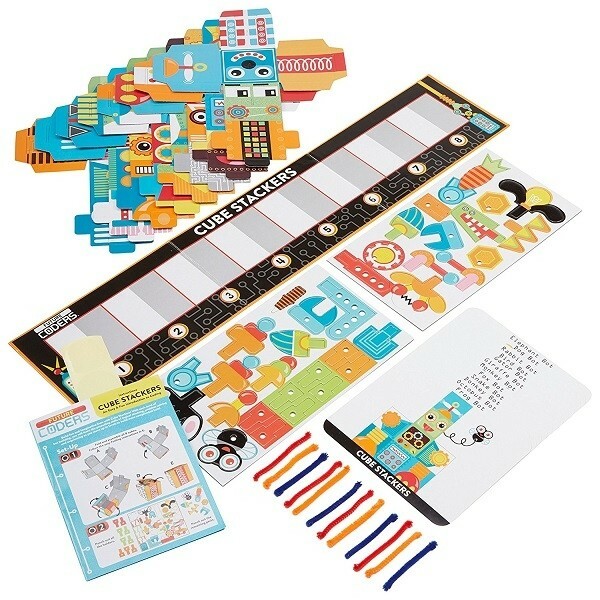 Use the cards to make 12 robotic creatures or have fun creating your own! 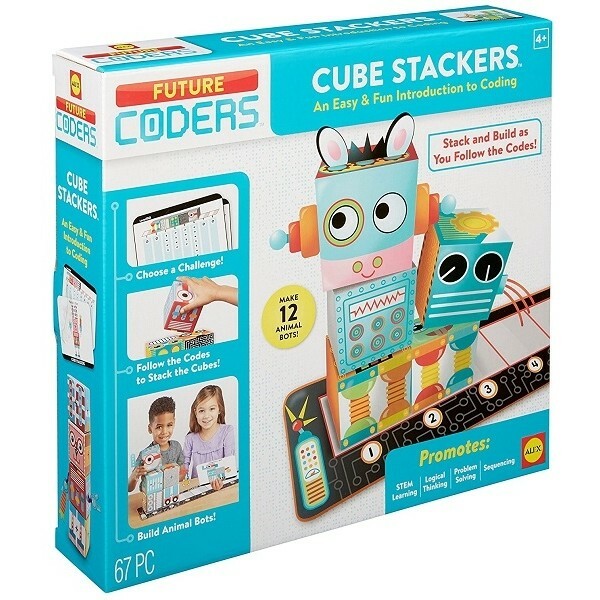 The challenge cards mimic computer programs with algorithms for building, teaching the basic principles of coding in a fun, hands-on way. This game includes 8 cubes, a game board, 12 puzzle cards, 12 pipe cleaners, 34 colorful punch-outs, and easy instructions.